Q: "Ok, so I live in boring Copley, Ohio. I'm aspiring to be a photographer, but every time I look at photography websites where Im putting up my stuff, I cant help from thinking this jealousy feeling of seeing people with the best micro or tele photo cameras, and people that live in countries or near seas that just have the best scenes and subjects handed to them and on top of it they have the nicest camera in there lap. so I guess to wrap this up, until I get to where I want to go, should I just avoid looking at other peoples work? And/or to just pay attention to what I have in-front of me and what I can work with on my low travel budget. I like to think or know I have an eye and talent but the masses of people that seem to have it handed to them is discouraging. Any advice for a guy going to community college for photography to maybe create some sort of ladder of goals or important things to do to establish myself?" Eric S.
A: "Thank you for your question Eric. Many photographers experience the same feelings at one point or another, but few come out and admit that they are feeling discouraged or envious of others. You touched several good points in your question so I will do my best and try to answer them one by one. - About gear lust... That's a common ailment among photographers. The cure doesn't have to be buying more gear. Feeling empowered by challenging yourself with what you have may just be what you need! I'm not going to dwell on the fact that the camera doesn't make the photographer. You're a photographer, so you already know that. Work with what you have and make killer images with simple gear, that will show your true talent. I see photographers every day who can't tell a story with the most expensive camera and lenses money can buy, while others demonstrate an amazing vision with their camera phone. No matter what you own, it's far better than any pro camera from 10 years ago. Gear should never be an excuse for lack of vision or creativity. - Tired of your own surroundings? That happens to all of us if we allow it. Start looking at your own town as if you saw it for the first time. It may be boring to you but others would see plenty of great photo opportunities. Get out of your comfort zone! For example, if you shoot landscapes, get out and do street photography for a change. New stories happen in your streets every day, be out there to record them with your camera. Start a 365 or 52 photo project. 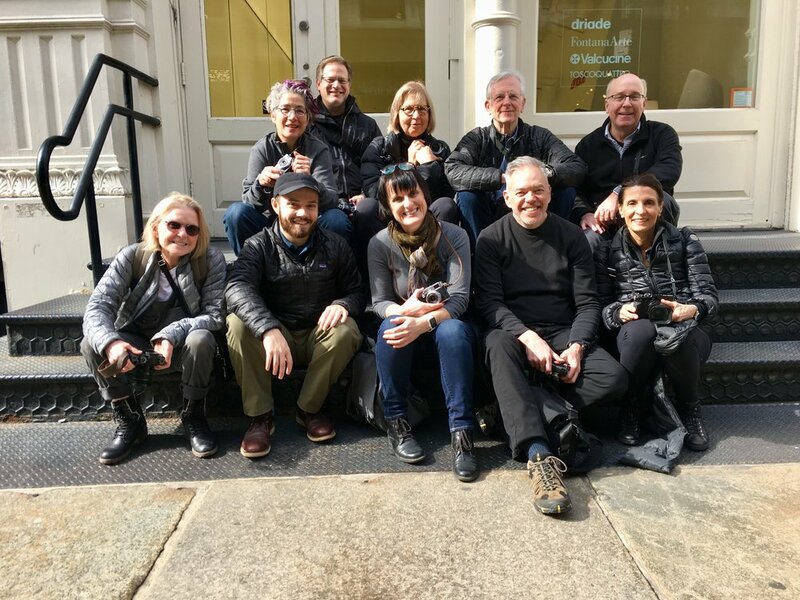 Join a photo walk group or start your own! Be a mentor for someone. Make the ordinary look extraordinary and it won't matter where you live or what camera you shoot with. Still dreaming of new horizons? Instead of saving for new gear, spend your money on a trip or a photo workshop. It will be much more rewarding than a new lens! - Envious of the work of others? Good, use that as a motivator! Get inspiration from the web but shoot for you. Shoot what moves you, pick subjects that you are passionate about and your passion will come through. Don't try to fit in a genre that is not who you are. A style is defined by technical skills and life experiences and it constantly evolves. You will develop a style of your own, but that takes time. Just like it takes time to find your niche. 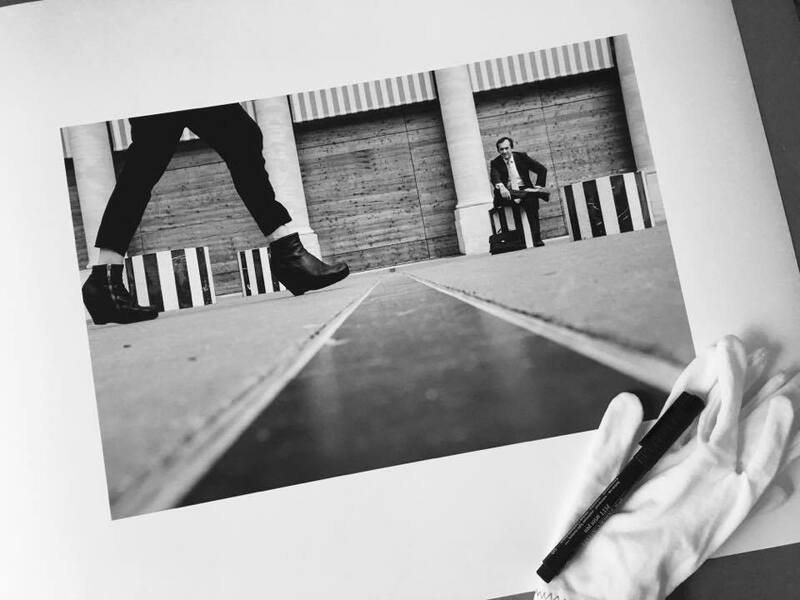 No matter what you do with your photography, make sure you always leave room for personal projects. It's the personal projects that will feed your creativity and keep things fresh. - No one in this business 'has it handed to them' as you say. Starting out with the most expensive gear or living on a tropical island will not make anyone a successful photographer. It's hard work, it takes a lot of sweat and determination to make it and it's relentless. Someone said it's 80% marketing, 20% shooting, I'd say that's on a good week! But, if you're in it for the right reasons, it's SO worth it! I wrote a few articles about the different points mentioned above. They are linked in the Publications page of this website. Good luck!